Ivan Dikic’s lab uses multidisciplinary approaches ranging from structural biology, bioinformatics, biochemistry and molecular biology to study complex biological problems relating to ubiquitin (Ub), a small protein that is covalently attached to thousands of cellular proteins. His early scientific interests were focused on the role of protein tyrosine kinases in mitogenic signal transduction pathways and the importance of the proto-oncogene Cbl and its associated proteins in the differential regulation of receptor endocytosis and degradation. His current research focuses on the role of linear ubiquitin chains in innate immunity and inflammatory pathways. He also studies autophagy, which is a major quality control pathway that sequesters diverse cytosolic components and delivers them to the lysosome for degradation. Ivan Dikic completed his medical studies at the University of Zagreb in Croatia in 1991, where he was awarded a degree as Doctor of Medicine (MD). He completed a PhD degree in Natural Sciences in 1995 and a postdoctoral tenure in 1997 working with professor Joseph Schlessinger at the New York University. 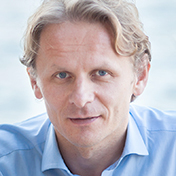 Ivan was appointed a Group Leader at the Ludwig Institute for Cancer Research in Uppsala, Sweden from 1997-2002. Since 2002 he was a Professor for Biochemistry (C3) at the Institute of Biochemistry II within the Medical School of Goethe University, since 2009 the Director of the Institute of Biochemistry II and a founding director of the Buchmann Institute for Molecular Life Sciences (BMLS) in Frankfurt. His recent recognitions and awards include the Leibniz Award (2013), the Jung Prize for Medicine (2013) and the ASBMB William Rose Award (2013), the Hans Krebs Prize (2010), and the election in the German Academy Leopoldina (2010) and EMBO (2004). In 2019 he was elected an International Honorary Member of the American Academy of Arts & Sciences.